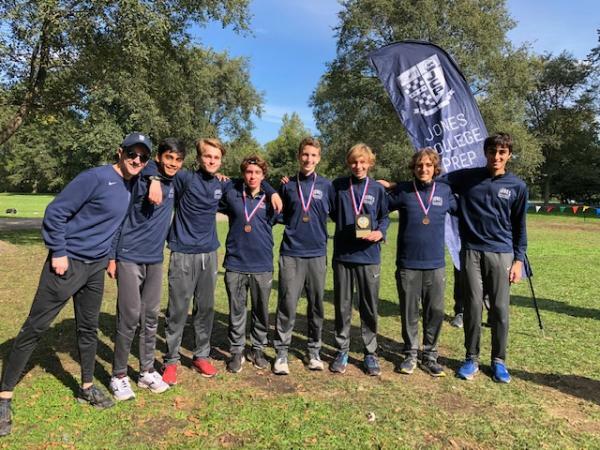 Taking home their twenty-third and twenty-fourth City Championship in the last nine years (across all four levels), the Eagles won both the varsity and JV titles at last weekend's Chicago Public League Championships in Washington Park to mark the beginning of post-season competition. It was the third title for the boys varsity team, who entered the meet ranked #15 in the state. Leading the way once again was the trio of Anthony Maida (5th), AJ Fundator (6th) and Ryan DeSantis (7th), who were joined by fellow All-City honorees Ian Bacon (9th) and Aaron Hou (11th) to complete the scoring. Senior Michael Villa (15th) also grabbed the last All-City spot as the sixth runner, while junior Baito Sarkiss placed in the top-twenty to things up for the Eagles in nineteenth place. Keeping their streak in tact in the open race, the JV boys were led by Jeremy Yakes' runner-up finish and Eric Hinch's top-five finish to take home the championship for the seventh year in a row. Also earning All-City honors were: Antony Rizk (6th), Eddie DeKoven (7th), Colin Greiner (9th), Joaquin Ramirez (12th), Leor Weber (14th) and Gabe Kosmacher (15th). Diego Medina, Jonathan Garcia, Matthew Lagges and Jason Mei also all held on to finish in the top-twenty. The younger Eagle squads also enjoyed success as the frosh-soph team took home their eighth straight plaque, finishing in the runner-up spot. Luke Benes led the way with a second place finish, barely missing the individual title, while Michael Sommese, Andy Niser and Drew Blackledge also took home All-City honors. Sophomores Ned Wojcik, Ryan San Juan and Michael Rizk rounded out the top-seven for Jones. 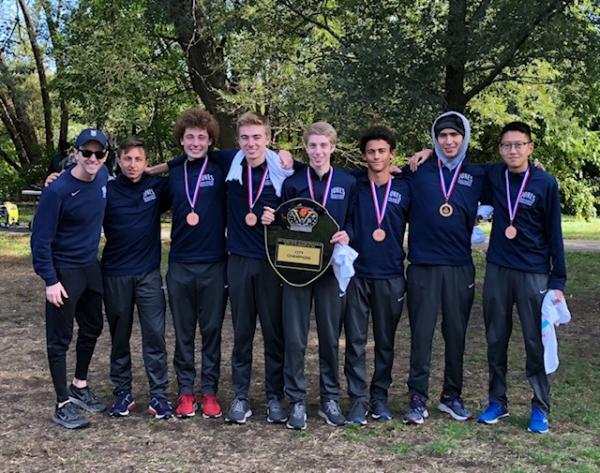 Running in their first ever City Championship, the freshmen team just missed finishing in the top-two by a point, marking the end of their eight year streak of championships. Alexander Papadopoulos led the way with a sixth place finish on the day, while fellow newcomers Alan Menninger, Peter Flynn and Leo Necheles also made the All-City team. Joey Scalise was the final scorer for the Eagles with a breakout performance to finish twenty-fifth.